For underground utility installation to commercial snow plowing, turn to C.H. Excavating, Inc. in Monroe, NJ for reliable and professional services no matter the job. C.H. Excavating is completely qualified to handle any site development or excavating job for both residential and commercial. In addition to offering free estimates, we educate you about your site so you can identify issues such as the location of your drain field and septic tank lid. Our complete Site Development services include Curbing & Paving, Underground Utility Installation, Sidewalk Installation, Sewer & Water Installation, and Land Clearing & Earth Work. Whatever the project, C.H. 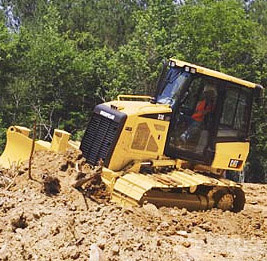 Excavating, Inc. has the equipment and skills needed to get the job done. Since 1985, we have been excavating for residential and commercial applications and advising customers on the best way to lower their cost without sacrificing quality. Whether you are tying into a municipal system or need a septic tank installed, C.H. Excavating gets the job done. Working directly with clients and builders, we execute your blueprints, following all applicable permits, and complete your job on time and up to specs. Don't let the weather slow your business down. Our complete plowing, removal, salting and calcium applications ensure safe and clear sidewalks, driveways and parking lots. With our help, your business can keep rolling despite the snow. © Copyright C.H. Excavating, Inc.